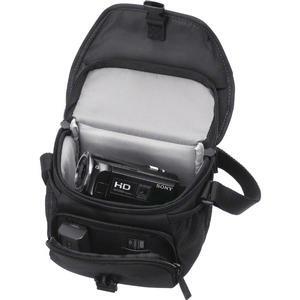 Protect your camera or camcorder with this soft carrying case. 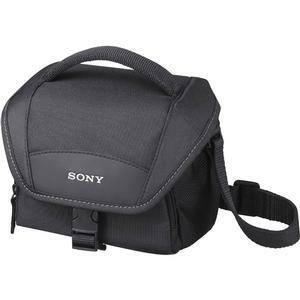 Designed for Handycam camcorders, Cyber-shot digital cameras and Alpha NEX cameras, this stylish Sony LCS-U11 Case is a soft-sided bag that provides extra protection against bumps, scratches and debris. An adjustable internal partition and mesh pouches allow for convenient accessory storage. 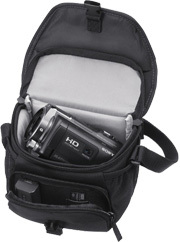 A padded shoulder strap is also included. Front accessory pouch for cables, memory cards, batteries, etc.